Do you teach? If so where. I would like to take a class from you. Please you are so talented. Beautiful work! I am so inspired by what you do! I just purchased your book Miniature Needle Painting and can’t wait to get into one of your projects! Dear Trish, your work is stunning and very inspiring. Thanks for sharing it with us. Wish you a lot more creativity and Joy. Your work is breath taking, just beautiful. I have downloaded your free patterns to try. My question you have the materials listed as Stranded Cotton, is this just regular DMC Floss or is this something different. Need your help clarifying this for me. Please help. Прекрасные работы! Видно, что сделано с душой! Hi tris! I was looking all the stuff that u make, I like it!! They r so beautiful. I make many cross stitch & when saw the stuff that u make, I want to make one. I like the cottages. How can I order? I want the swan cottage1. Hi!! trish.I m from india.i really love your work.my creative past time is needle work which keeps me busy and the fact i love being surrounded by colourful threads.I love doing ethnic work and always wanted to learn long and short with fineness.your book AtoZ and surface embroidery has help me alot. I got your book, Needle Painting, Embroidery, and I just finished my first little piece, ceriese anenome. I love this. I need to use shading better to shape and show forms. I also look forward to seeing more of your work. I have seen your work before on the net but this is very first time i have come to your beautiful blog. Your work is breath taking. 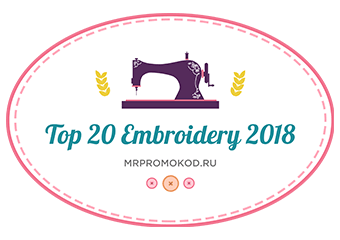 I showed it my husband and he can not believe that it is embroidery and that to hand embroidery. Your beautiful work is such an inspiration. love the birds ! my loves in life …. wow! your work is gorgeous! I’m wondering if you also sell your embroidered birds, I would like to have one for in my home. I already send you an email about this as well. Aaah Marie- Eve so would I! We have been in touch with several French Publishers but unfortunately they are not prepared to publish my books as it would be a conflict of interest with a needle painter in your France who has several books published. Perhaps one day we will make it happen. Ваши работы великолепны и восхитительны! Серия с птицами – наслаждение для глаз и восторг для души!!!Браво!!!! Bonjour, Je viens de découvrir vos broderies, vos peintures. Quelle merveille. Vous êtes une véritable artiste de l’ aiguille. Vos oeuvres sont d’ un tel réalisme. Merci de nous les montrer. Have a lot of wonderfull paintings time and thank you to give us dream and beauty. PS : Is it true that you have books about your needle portraits, and where to find them ? Your work is fantastic! This is so beautiful! Sure you are very talented. Thanks for sharing these beauties here. When showing people your work, they think they are painted … and hard for them to believe it’s needle and threads!!! Your sharing makes such a difference for so many of us (speaking for all!). Your work is so beautiful. I have been sewing for many years and had the pleasure of teaching a EGA class meeting one of your projects. Some of the class members have limited means. When will you be posting another free project? Thank you. Thats wonderful to hear thanks Cathie. You want to come over & wipe the drool off my key board? It is just simply a delight to see your work. j’ai acheté tous vos livre et j’aimerai acheter votre DVD , j’habite en France, comment faire ? Hello Sophie, je viens de lire votre post sur le blog de Cayce Zavaglia. Vous dites que vous avez acheté TOUS ses livres mais je ne trouve aucune référence sur le net. Pourriez-vous me dire comment, et où, il est possible de se procurer ces ouvrages ? Truly amazing! You are so talented!! Love your work. Trish, what size needle do you use most of the time? You’re definitely whetting my stitching appetite again. Your work is truly beautiful. Lindíssimo o seu trabalho! Estaremos aguardando o lançamento de livros.Sucesso. You have an amazing talent ! You embroidery is really gorgeous. I just wanted to tell you that you do some very beautiful work! WOW!